Now we have every thing on our phone from photos to videos, contacts, music, apps, email details, passwords even credit card details too. A study related to stolen phones reveals that the cost associated with the loss or theft of mobile phones is far greater than the cost of the device itself. 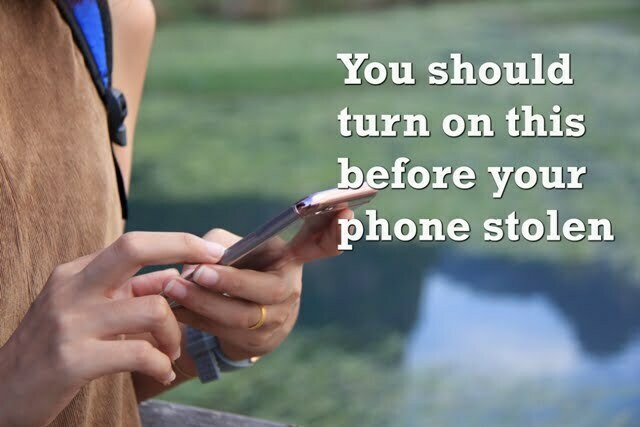 A stolen phone can ruin anyone’s day, stolen phones can not only result in some important personal data loss but also personal data can lead to identity theft and fraud. 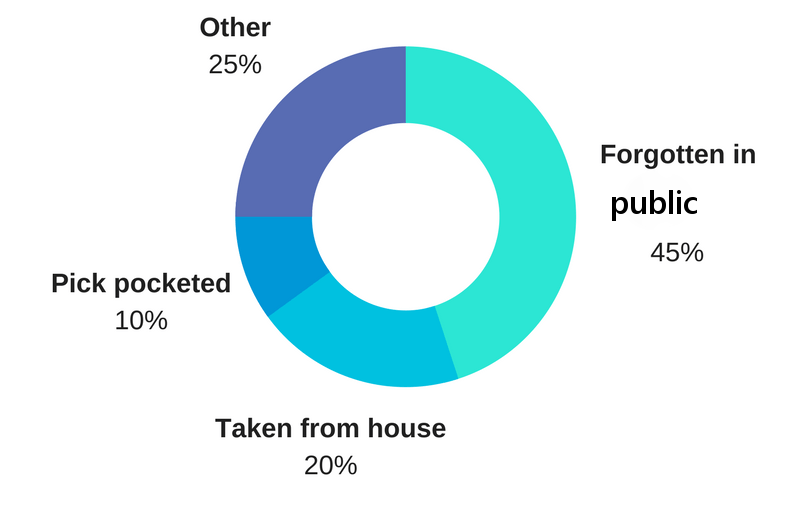 In 2016 IDG had done a survey in which was found that 45% of phones are forgotten in public places, and 20% of devices were taken from house or car. Only 10% phones are pick pocketed. In each year 4.3 percent of phones are lost or stolen. In global market 4.3 percent is not a small amount, it’s around 70 million phones among which only 7 percent recovered. Theft-deterring is preloaded in Android and iOS devices. Below I discussed how to use both of them. If your phone was stolen, you can locate your phone from any browser. You have to sign with the same google account to use this feature. Then you just need to google “find my phone” and if Find My Device is enabled, google will display it latest location or you can check here. Using your cloud account you can track your phone’s last location and also can set Activation Lock. If your Activation Lock is on, you have to login in with your username and password to access it. Tap Settings > [your name] > iCloud. If you are using iOS 10.2 or earlier, go to Settings > iCloud. Find your device. Open Find My iPhone, and select the lost device to view its last available location. Turn on Lost Mode. Using this mode you can lock your phone remotely and can set custom message with your phone number and most important all Apple Pay on the device will be suspended until you turn off Lost Mode. For more details, you can check Apple’s support page. If, you are facing any problem regarding this or have some suggestions or questions tell me in comments. How to download w3school full website offline version. Top 5 genuine apps for money making. Microsoft giving books for free 2017. Great great pieces of advice!!! I will definitely come back to read again, as I want to be sure that I do it right! This is very helpful. When you invest on things such as gadgets, it is important to protect it by having features/apps that will let you track it. Great post! Good info, I have unfortunately been the victim of a stolen phone and it is more crippling than you might think. Good read. Yes, we should protect our gadgets at least our data because nowadays we have every thing on our phone. Sorry to hear that your phone was stolen. But next time make sure to turn on this features as they can give you more safety. Someone stealing my phone has literary been one of my biggest fears. Whenever I'm out, my purse is right next to me and I'm always checking to see if it's still there. This for sure came in handy. Thank you. That's some great and handy information. I'd definitely use the feature beforehand to save myself from the trouble. Thanks for sharing. Glad to hear that you found this article handy. My husband's phone was taken from work. He was so disappointed. I need to make sure I have these features turned on on my phone. That is one of my the first apps on my phone that I got. Thank you for this wonderful tips. I will have to download the android app now. I'm Glad that you found this article helpful. Ha ha, 🙂 yeah I use this feature often. This is a great option right what do you think? Felling sad hearing about your husband phone stolen, don't take any chance. Make your phone more secure Heather. Those are inbuilt apps, you don't have to install them. Yeah its true that we have to turn on before its getting stolen and my friend said the same too. Thank you for bringing this up.